We decided to fix that by creating a larger scope conference that includes everyone. This polyglot conference will be designed to appeal to all developers from the region and will cover the topics that you want to hear. The event is being designed as a 2-day long, Friday/Saturday event, based on feedback that we received from surveying developers of the region. This year (2018) will be the first year of the event, but we plan to continue hosting the event as an annual conference, with plans to grow into the premiere large developer event of the region. Please don’t hesitate to reach out to us with any thoughts, ideas, or suggestions that you might have. We definitely want to hear them and make this the event that the region needs. 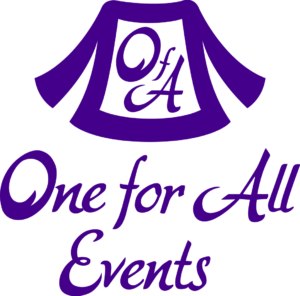 This event is being produced by One for All Events. We are a dedicated conference company that focuses on running events for computer programmers. (One of the founders has been a professional developer since 1994, and originally got started on a TI-994a) We have a combined 11 years experience in the event industry, and run 2-7 events a year, from concept to execution (even down to running our own AV equipment). In 2018 we will be running a number of other events besides Mid-Atlantic Dev Con, including CoderCruise in Florida, php[tek] 2018 in Atlanta, and php[world] 2018 near DC. In fact, we are even stretching our scope a little bit and running a Gaming event this year as well called BFGcon.